Happy Birthday Wishes with Years in English. 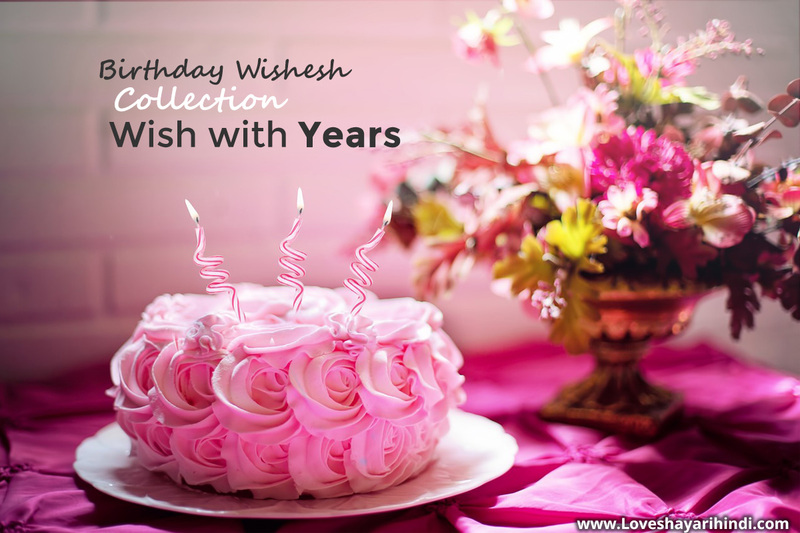 Best collection of birthday wishesh, quotes and greetings. God bless and spread that smile! your first year on earth. at being sweet as you is the cake. Lots of kisses to you little one. your first cake and your very first candle. and many many more are to come. I wish you live a hundred years. who looks no less than an angel. everybody simply loves you and always will. we never ever want to see you cry. Have lots of fun and cake. the cutest and most contagious smile. God ever sent to us. I wish the best for you in life. realize how much fun birthdays are. I wish you have a hundred more to come. Happy 1st Birthday to my dearest one. Happy 1st birthday to you! Because its the first birthday! So, congrats to you as well! Happy first birthday sweet pie! Happy first birthday to you! Haha..Wish you a very happy birthday! Your birthday is hear and it's your 2nd! With lots of hugs and kisses! Wish you happy 2nd birthday! Happy 2nd Birthday my darling! you deeply right from the day you were born. Wishing you a happy 2nd birthday! little kid the most amazing special day ever! George Clooney’s smile and Brad Pitt’s face! Basically, you've got it made. as you were last year! Happy 2nd birthday to my little skipper. row our boat gently down the hall. you have 30 gifts in all. and presents and go CRAZY. your most cherished desires come true. So live it up to the fullest extent. the day coming after that. a bed full of presents. I wish that your crush asks you out. I wish you have the energy to dance all night long. gift wrapping paper at the moment. what you dreamt it to be. Save me some cake! Hugs and kisses. the day on your 16th Birthday! shower His blessing upon you. May God make you a stronger person. Enjoy yourself and have lots of cake. song on your Sweet 16th birthday! May you have a rocking one. Yay! You finally can officially drive! Happy Sweet 16th Birthday dear. 16 years of your life. I'm sure it has been a rocking journey. May it continue to be all the more fun day by day. May the merriment and celebration never end. May you have a blast. taking on the boring responsibilities of life! So just have a good time! fun and occupied with adults. May all your dreams and fantasies come true. Yay! You're an adult now! Here's to yet another year of blessings! Welcome to the world of freedom. of your wonderful day today! wyour glorious teenage is over. ith all the miseries of life! Haha. What does being 18 mean? Or a life too empty? To send you in a tizzy? To help you pause and mull? Coz' today's your Happy Birthday! So have an amazing day! What is the whole hype about turning 30? Especially when you look as good as 18! you are officially young now. Wish you a super 21st birthday! you are chilled out in life. Wishing a happy 30th to you! For things are just the same for you! trust in your abilities and never back down. life bring the wonderful times to you. what a long way you have come through. the person you have turned out to be. Hey, Happy 29th Birthday to you dear. yours that are to come! you are about to encounter. you would make fun of! so make it a day that will go down in history. who really love your presence here. Now you are blessed with all the 3.
the past 4 decades suddenly come true. caring, helpful, fun and also gorgeous! May you have a brilliant day. here's a salute to you. to archive half a century? will never take the sheen off your personality. or you become boring by being thrifty. a century of your life! so let's do it with music and cake! you are 49 +1 only! Hey who said you're 50 years old? A hot Cabana boy to impress with these! happiness and peace to others. the hammock and sip your Margarita. surprise you out of your wits. one more person's life beautiful. May you have a superb life ahead. you love handles around your tummy. a sugar free life ahead. How are you feeling on turning 50 today? the right to be grumpy. Can I borrow your wisdom and maturity? your family and the respect of your friends. your age even a bit. with a gifted extra experience of 30 years. because you have just turned twenty. Well, for the third time that is. your heart is getting pure. you are surely aging like a fine wine. the taste so stay happy. you are aging to perfection. have a super amazing day! your spirit is just twenty.